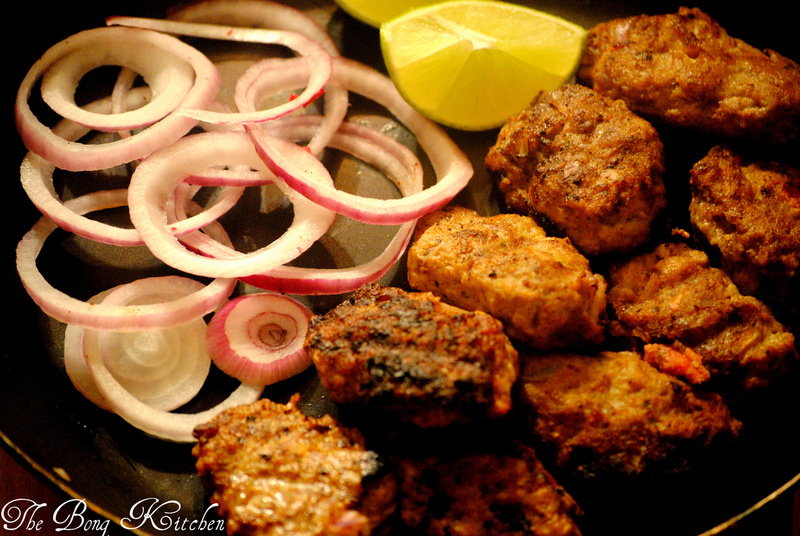 Have you ever had a craving for kebabs ? I mean you are like I want kebab period… I do, but right in the next instant I am reminded that it takes a long time to make kebabs; the marinade, the resting, the slow cooking, I will be dead by then. We don’t have a good kebab place here in King of Prussia, so I needed something quick and easy and something between a quick finger food. So I got myself thinking what can I do? 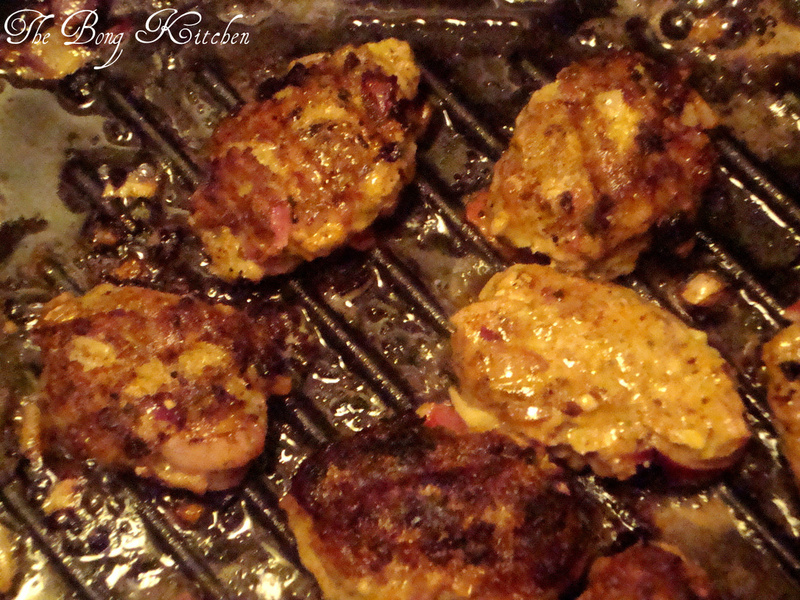 Indian cuisine has a variety of kebabs, some are grilled, some are smoked and the others are shallow fried. 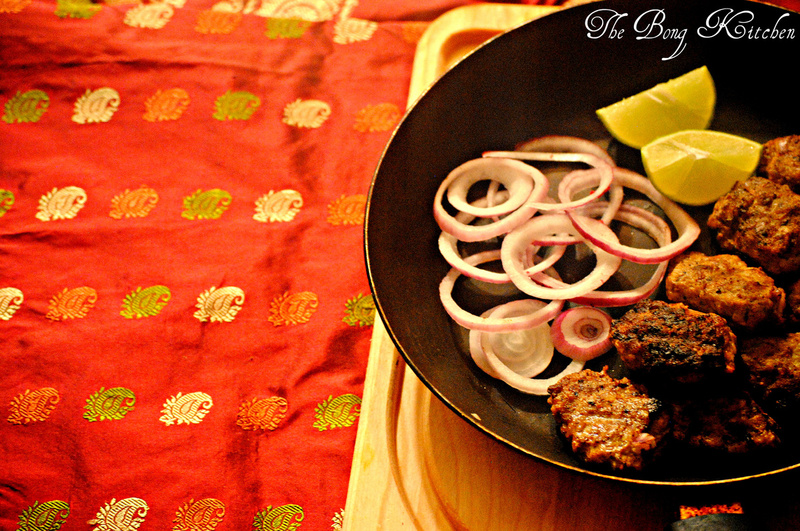 Many of the Kebabs that come from the Middle-East have a mince base and that is what I love about them; the flavours, the spices all blend together just fills my apartment with a heavenly aroma. Most afternoons I am by myself, working or reading that gave enough time to thing out an easy recipe that can be conjured in about and hour and a half’s time. You start with marinating the mince meat with all the spices except, rock salt, onion rings and lemon wedges. Leave it in the fridge for about an hour or so. Once ready, shape the mince meat into any choice of your shape, round, sausage etc. Get a frying pan ready on medium to high heat, I used a griddle pan but anything is fine with a mix of oil and butter. 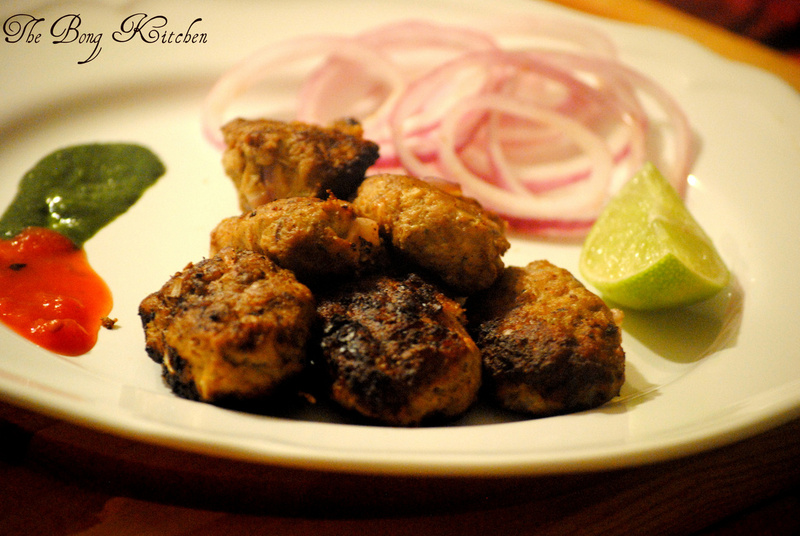 Once the pan starts to smoke, place the raw koftas and shallow fry till all the sides are evenly cooked and golden brown in colour. The kebabs are ready by now. 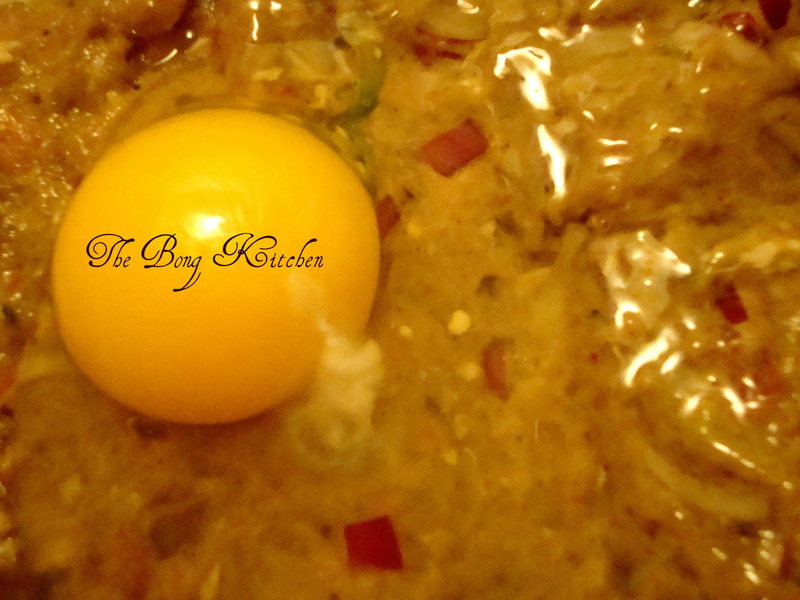 Serve with onions and lime wedges. 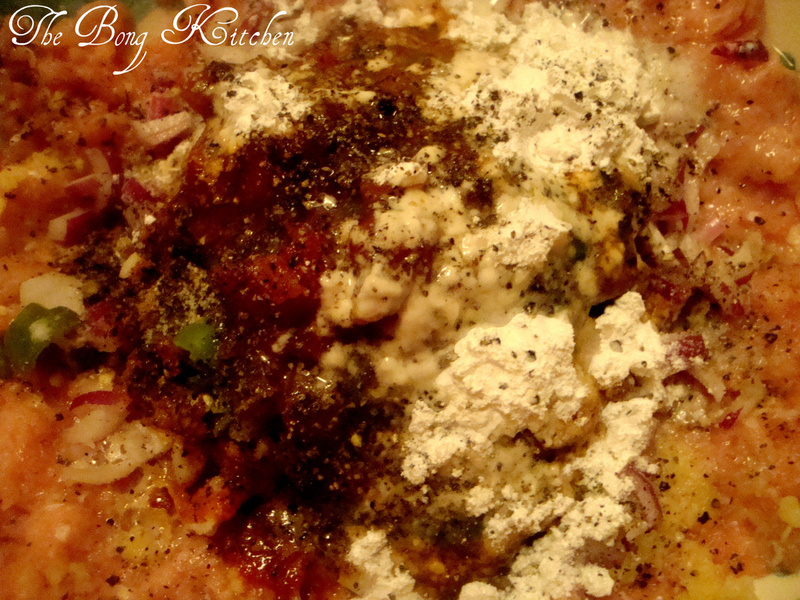 We had ours with home made rotis… A perfect weeknight dinner and a very satisfied P..